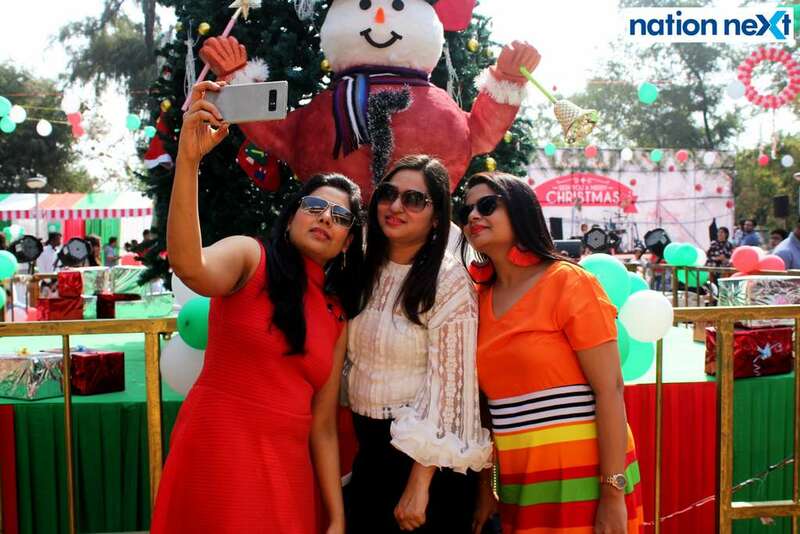 The annual Christmas party at Gondwana Club, Nagpur, is known for being high on style and fun and Christmas 2017 bash at Gondwana club was no different. It had all the elements of a happening party for kids and adults alike. Blending perfectly with the party theme, quite a few guests at the do were seen sporting Christmas hats and reindeer horns. From stilt-walkers to a bouncy castle, from games to camel rides, this Christmas bash had everything for kids to make the day memorable for them. It was wonderful to see quite a few mommies join their kids on stage for different games. If children were busy with all the games, for their parents it was an opportunity to have a chilled out time with their friends. In addition to the delicious spread and delightful beverages, the attendees also enjoyed the acoustic renditions by city musician Darryl Grant and his band members.